DAMAC Properties expects around 11,000 to 12,000 residential properties to hit the Dubai market in 2017, a steady increase compared to the average over the last two years, the group’s chief finance officer said. Supply of such properties in 2017 would not be far off demand, reflecting a move towards stability, Adil Taqi said. “The real estate market in its entirety has turned a corner,” Taqi told Reuters on Monday. 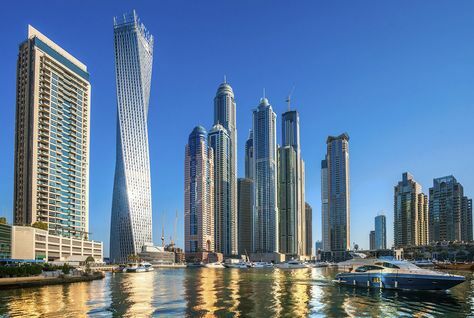 The emirate’s property market has remained in the doldrums over the past couple of years as a decline in oil prices and concern over oversupply has dragged on market sentiment. A total of 14,600 residential units entered the Dubai residential market in 2016, the highest since 2012, according to Jones Lang LaSalle, while in 2015 supply was 7,800 units. Dubai-based DAMAC, which began operations in 2002 and has also partnered in a golf complex named after US President Donald Trump, has expanded into North Africa, Jordan, Lebanon, Qatar and Saudi Arabia, according to its website. Fitch Ratings said earlier this month that Dubai real estate prices and rentals are likely to remain under pressure for the rest of 2017, but performance is likely to be fragmented. Prime assets will show some resilience, while lower-tier properties outside the centre will have price and rental declines, it said in a report last week. Damac’s Taqi said he believed prices would likely move “sideways” in 2017. “When prices move sideways with a sensible increase that reflects industry inflation – that indicates to everyone stability,” he said. DAMAC, Dubai’s second-largest developer, reported a 16.2 per cent fall in first-quarter net profit on Monday as sales costs rose. Emaar Properties, the emirate’s largest developer, reported a 15 per cent rise in first-quarter net profit, broadly in line with analysts’ expectations. Although DAMAC had no plans to raise further debt in 2017, Taqi did not rule out debt-raising in 2018 ahead of a debt maturity of about $450m in 2019. “I wouldn’t bet against us raising some money maybe in 2018, so rather than having the $450m outstanding that we would be paying we would be looking at a smaller amount,” he said. The company raised a $500m sukuk with a five-year tenor last month. DAMAC’s debt level would stand at its target of between $1.2bn and $1.3bn at the end of 2017, he said.